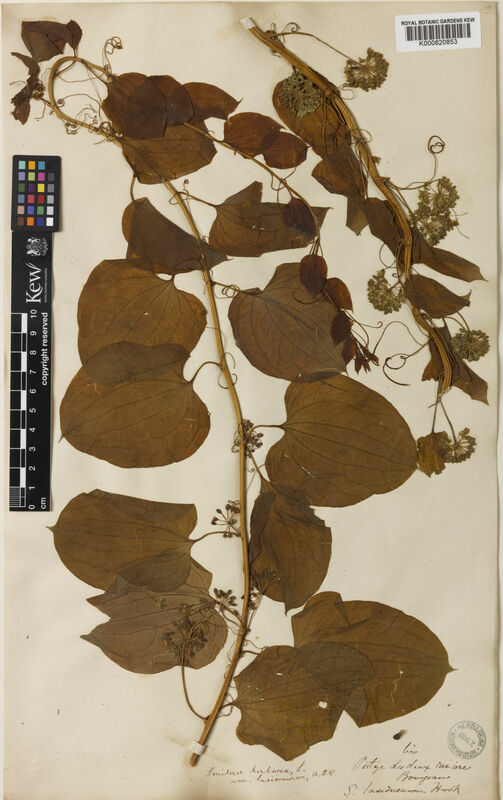 This species is accepted, and its native range is S. Canada to N. & E. U.S.A.
Smilax herbacea var. lasioneura (Hook.) A.DC.